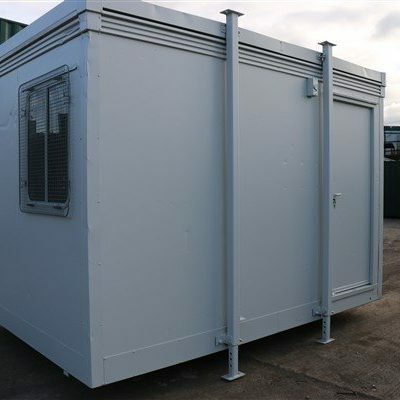 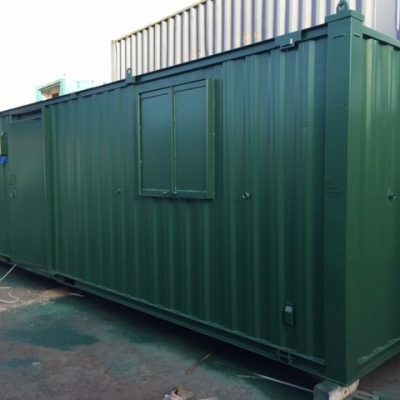 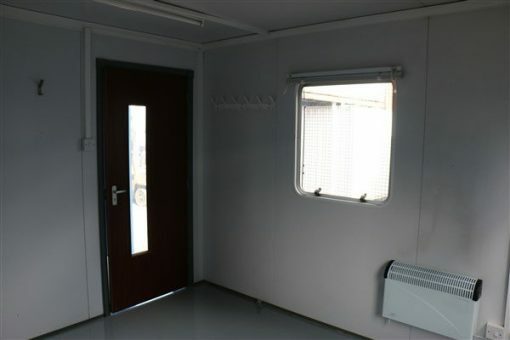 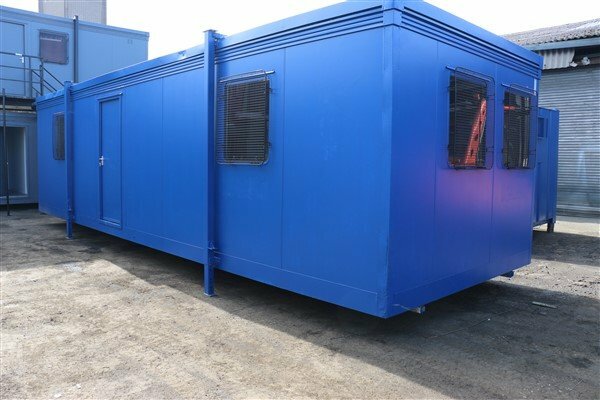 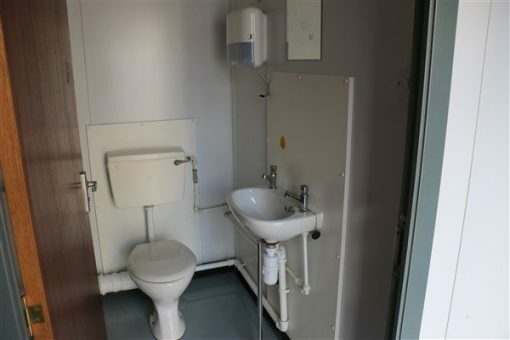 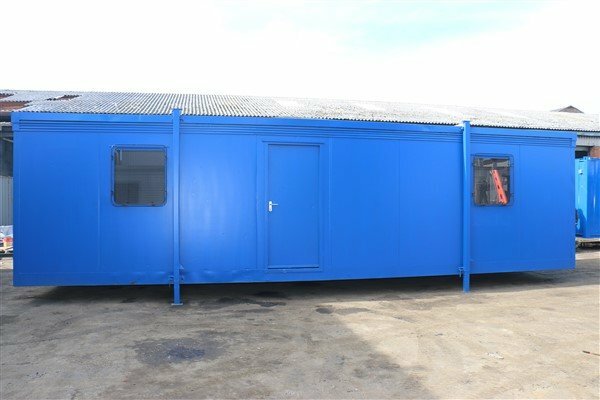 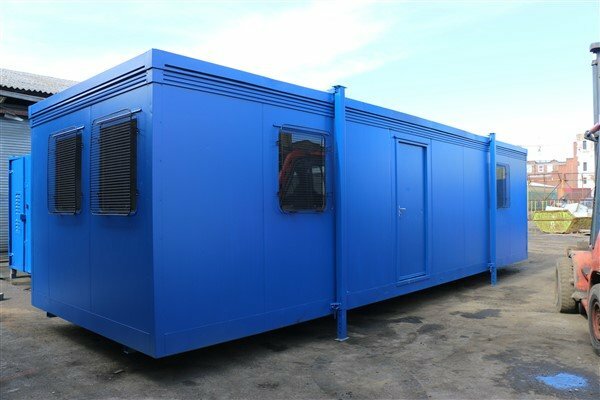 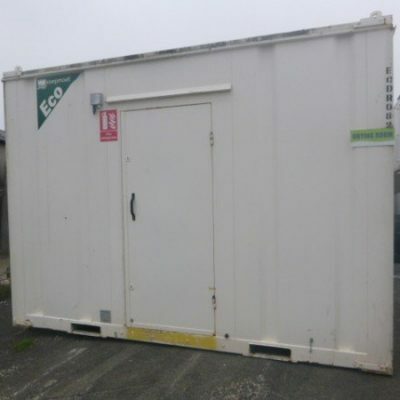 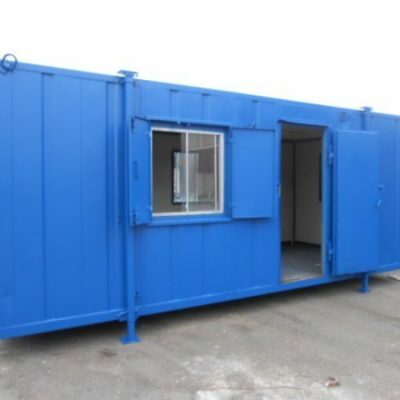 This portable cabin is a Plastisol 32ft x 10ft with two offices ,single toilet and kitchen. 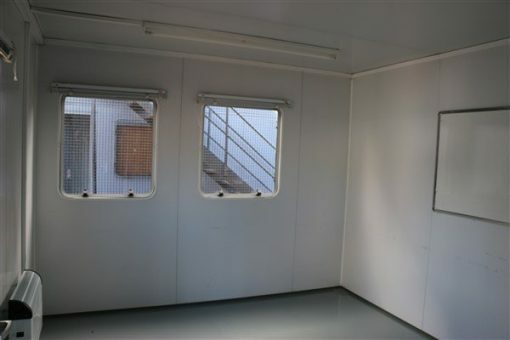 The cabin has jack-legs, electric heating, electric lighting and electric water heaters. The unit has two central access doors and six windows with wire guards.